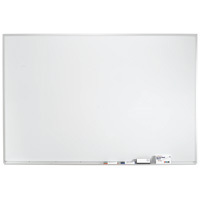 Can't find a marker, chalk, directory, bulletin, tack, display or specialty board that suits you? Don't settle for less than a perfect fit. Tell us what you need and we'll put it together for you. We take care of custom sizes, colors, graphics and construction. Our qualified customer service representatives are here to answer your questions and help you find products that fit your budget.